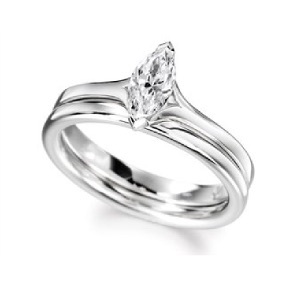 Marquise-cut Diamond solitaire engagement ring. Picture shown with matching wedding ring. Prices shown are based on G Si quality Diamonds.